Shade Engineering is a Western Australian business providing high quality architectural shading solutions. Shade Engineering has over 20 years of experience in providing high quality, architectural, shading solutions. Call us on 1800 658 733 today for your next project. 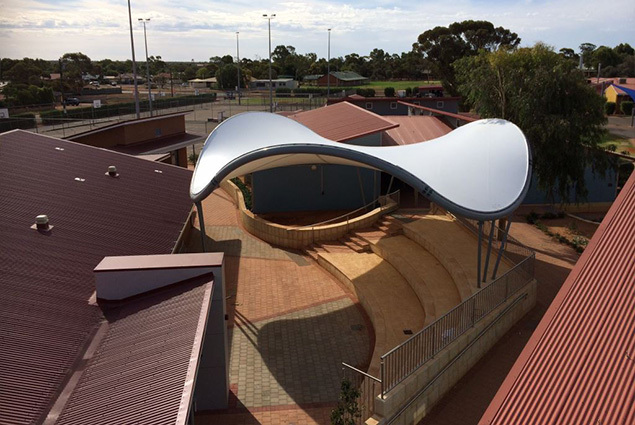 Shade Engineering is well-known in WA for our structures in popular public spaces all around the Perth metropolitan and regional areas. Shade Engineering is the WA agent for MakMax Australia and their world renowned range of high wind rated, architectural umbrellas. 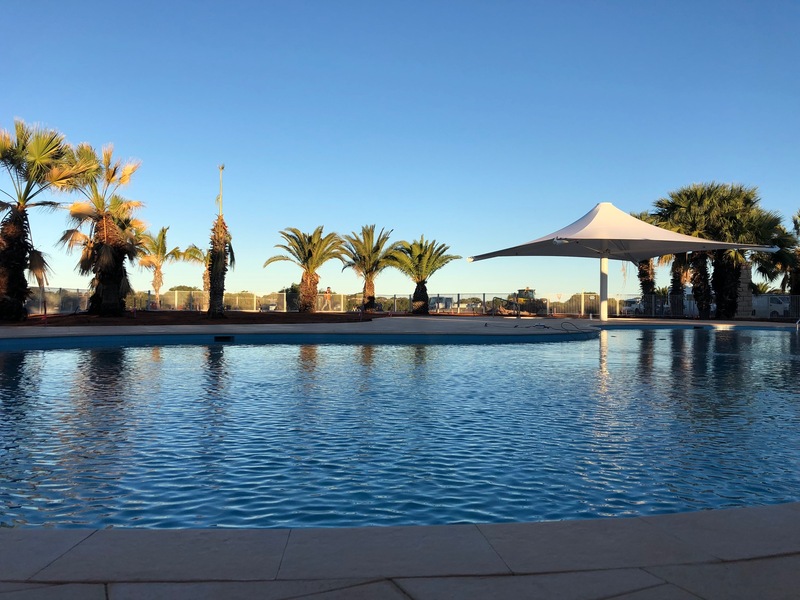 With over twenty years of experience in providing high quality, architectural, shading solutions Shade Engineering is at the forefront of the tensile membrane industry in Western Australia. 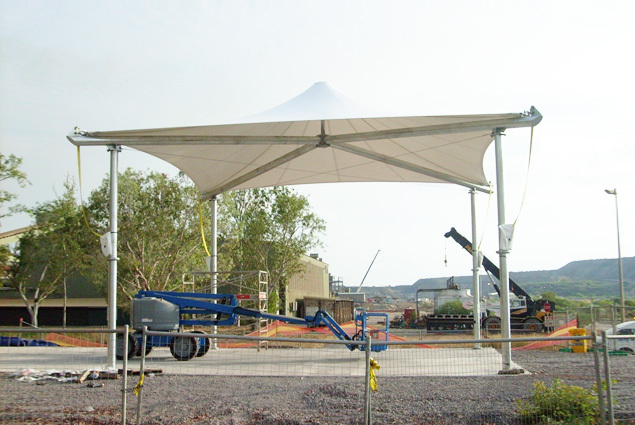 In that time we have supplied and installed a wide variety of HDPE shade mesh and waterproof PVC tensile canopy structures throughout Western Australia and the Northern Territory. As a WA based company we are able to understand the unique requirements of this state – from “down south” right through to the harshest climates of our state’s North-West region. 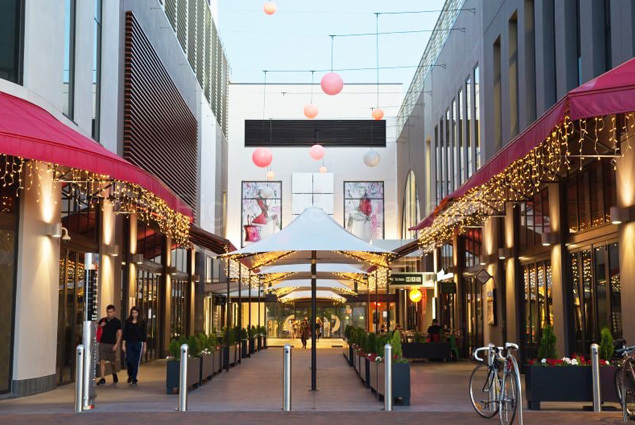 Shade Engineering is well-known in WA for our structures in popular public spaces such as Yagan Square, Elizabeth Quay and throughout the Perth CBD. 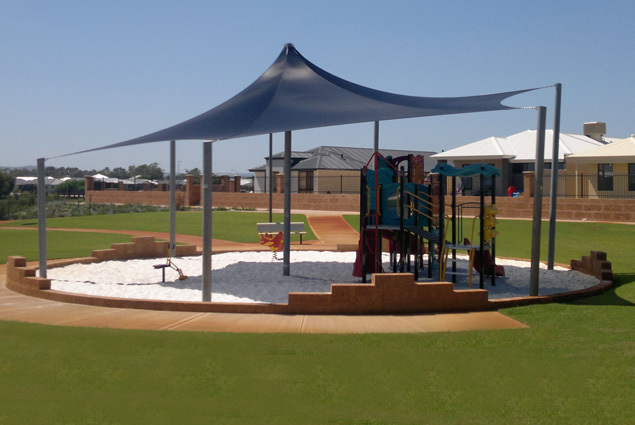 Shade Engineering is the WA agent for MakMax Australia and their world renowned range of high wind rated, architectural umbrellas, modular structures, custom tensile membrane designs. 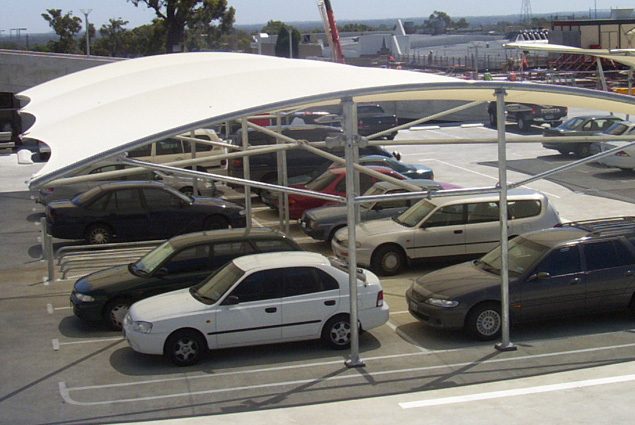 MakMax are responsible for many of the major shopping centre car-park shade projects in WA as well as some high profile tension membrane structures such as the Perth Stadium and the Swan Bridge. A Western Australian business providing high quality architectural shading solutions. 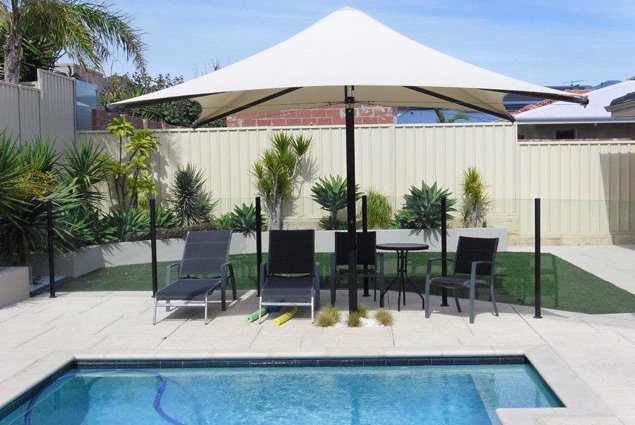 Shade Engineering is the WA agent for MakMax Architectural Umbrellas. Shade Engineering’s experience of WA conditions and knowledge of the engineering standards required allows us to ensure that your project and its installation is always completed to the highest quality. MakMax Australia’s reputation is for excellence in the design, engineering and fabrication of membrane tensile structures. Over 20 years of experience in providing shade! Shade Engineering is able to design and install modular tensile membrane structures to your requirements. Our custom made structures are engineered to suit Western Australian conditions and can be built to your design specifications. Structures that look superb and work superbly, by day or night, come rain or shine, year after year. Providing innovative solutions for resorts, restaurants and sporting venues. Shade Engineering has created striking structures for major venues and events, both public and commercial, and built an excellent reputation for enhancing streetscapes and malls with innovative designs and practical solutions. Using high quality shade mesh and waterproof PVC we can design a structure that provides protection from the harsh Australian sun. Unbeatable combination of good looks and efficiency provide extended functionality to alfresco and hospitality areas. Shade Engineering can upgrade your outdoor area by adding heat and light to your tensile membrane structures. Shade Engineering is the WA agent for Celmec International and their HEATRAY range of electric radiant and infra-red heaters. It was a pleasure dealing with Shade Engineering for this project – on site as well as in the office. There was excellent communication at all stages, efficient installation, very thorough as well as a handover. I would like to convey our thanks and appreciation for the professional manner in which you managed the recent construction of the large barrel roofed structure at our school. The project was handled proficiently at all stages from the original design process through to handover, with efficient communication and liaison throughout. The end product is practical, visually attractive and in line with the school’s overall architectural appearance. We believe that the height of the roof and its large span is in fact more impressive that we had imagined. In particular, we were impressed with your ability to listen to our vision and provided various options, even to the point of suggesting an alternative contractor for portions of the work which were not within your company’s area of expertise.